MaidServiceDxB provides reliable and insured cleaning services in Dubai. Our specialty is that we are a technology-driven company. We have made the process of getting a maid service incredibly simple and hassle-free, as opposed to the stressful experience of third party services or cleaning brokers. We have spent a lot of time and investment into screening and training our team of maids. This enables us to guarantee a reliable and satisfactory service. However, don’t think that all of this makes our service incredibly pricey. We are proud to provide our service at competitive rates that suit all our clients. 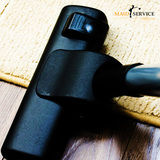 Whether you need home cleaning, event cleaning, or commercial cleaning, you can trust MaidServiceDxB.